Window Concepts is the #1 location in Paoli, PA for custom-made window fashions and other interior design solutions. With more than 25 years of experience in the window treatment business, rest assured, ours is a name Paoli trusts. The community comes first and we tailor our products and services to the needs and tastes of the locale. Shop local and enjoy the benefits of ease-of-access to our intelligent team of professionals; they’re eager to answer all questions you may have. Also take advantage of the benefits of buying local with convenient and quick instillation and personalized service. At our window treatment store, we deliver more than just great products, we offer speedy delivery services straight to you. When you shop with us you have access to an extensive selection of helpful services as well. We can provide you top-notch window treatment measurements, installation, and repairs. When you buy close by home you can see a product in action and get a feel for how our elegant Hunter Douglas sheers, shades, windows, and more will integrate into your home. Explore our wide variety of sophisticated Hunter Douglas window coverings including Duette® Honeycomb Shades, Sillhouette® Window Shadings, Luminette® Privacy Sheers. Improve your home with any number of classy Window Concepts products and services including window treatment color matching. We take special consideration of your home’s aesthetic when we visit. We take your existing or desired fabrics, furniture, and décor into mind when crafting window treatments fit to you. Our team consists of trained professionals dedicated to you and passionate about Paoli. We encourage you to take advantage of shopping in-person; our knowledgeable team is eager to answer all your questions. 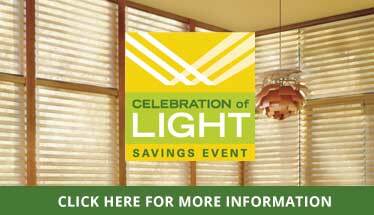 Explore all our products and services at our Paoli, PA window treatment store located at 1604 E Lancaster Ave 19301. Our doors are open Monday through Saturday from the hours of 10:00 am – 5:00 pm. If Sundays & evenings work better for you, we encourage you to make an appointment with us.